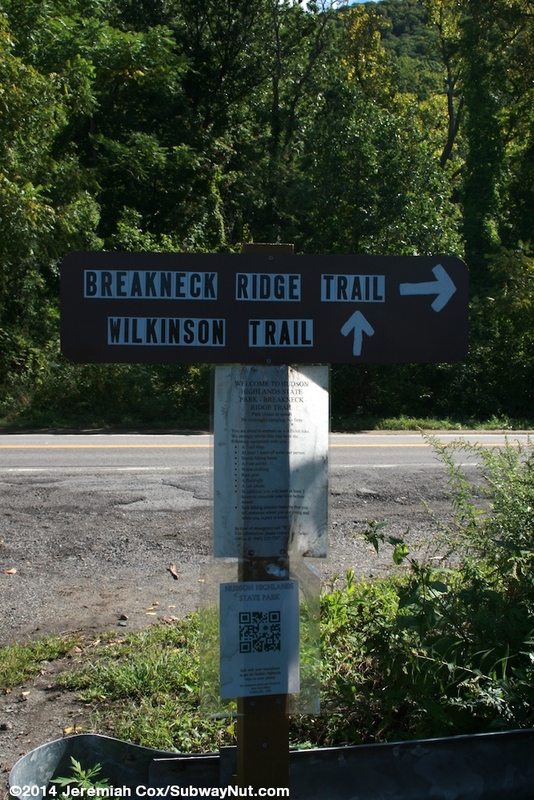 Breakneck Ridge is a weekend hikers only stop on the Hudson Line used by Hikers wishing to do the steep, scrambling hike up Breakneck Ridge or other less strenuous hikes in the Breakneck Ridge region. Service is extremely limited on weekends and holidays only: three trains two northbound in the morning, one stopping midday (only added in 2014), and two afternoon/evening returning trains. 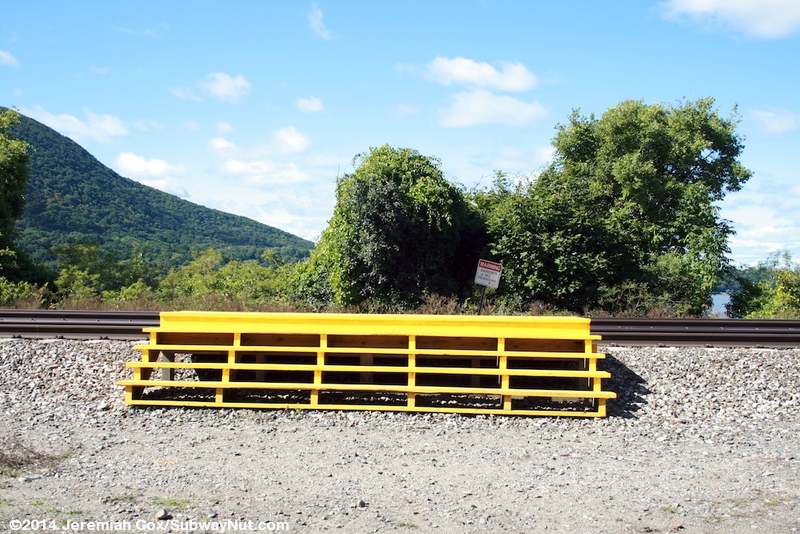 The station consists of two tiny sets of wooden steps where the cab car normally stops (rear going northbound, front southbound) onto the ballast, a very simple pedestrian bridge is just beyond this and a trail to Route 9D, Breakneck Ridge Road. 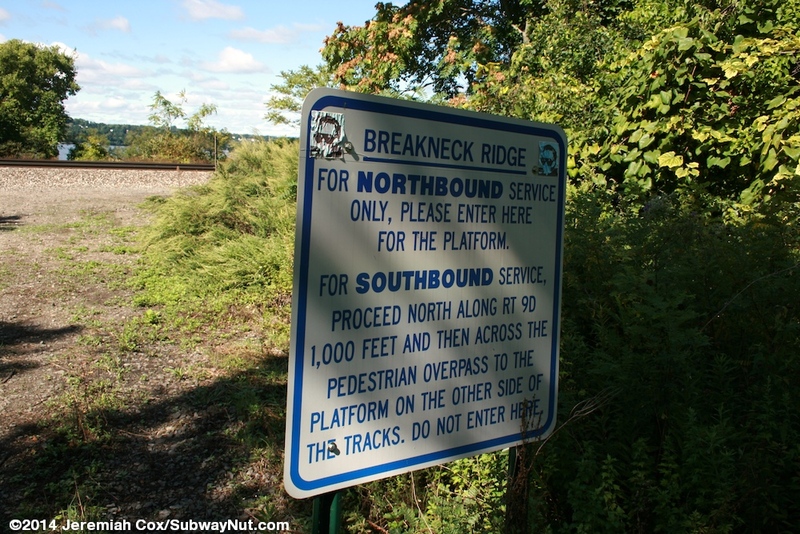 The platforms are 1,000 feet offset from each other with the northbound steps 1,000 feet farther south than the Grand Central-bound platform that also has a sign. 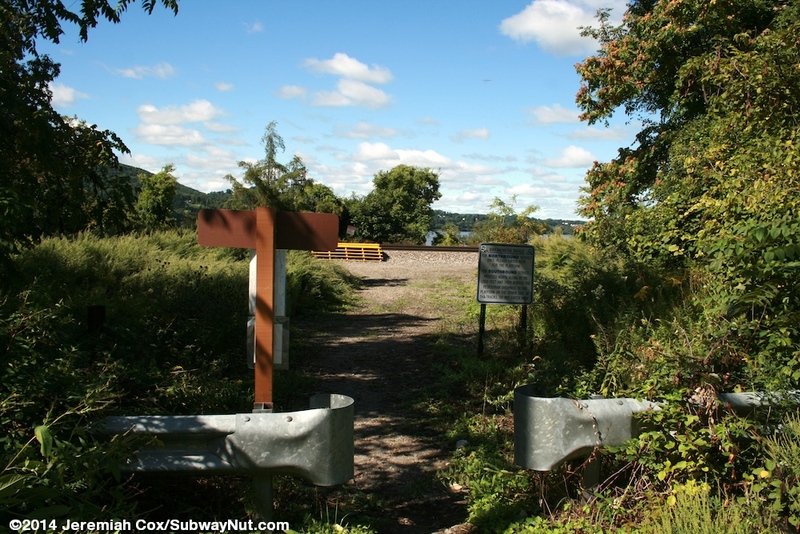 Cold Spring is the closest regular service stop, just under 3 miles away.